Half Moon Bay Resort Holiday Apartments - NULL The Half Moon Bay Resort Holiday Apartments provides both holiday makers and business travellers with discount accomodation. 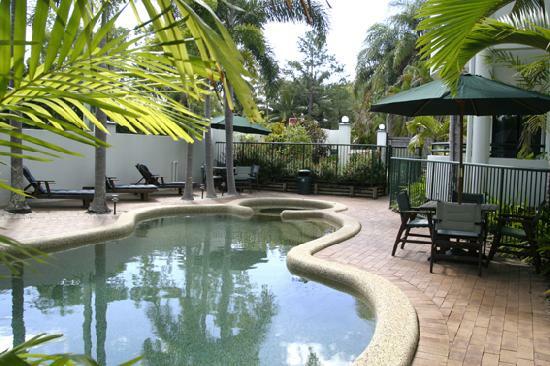 This Cairns Beaches accommodation features modern amenities and is close to everything that the city has to offer. 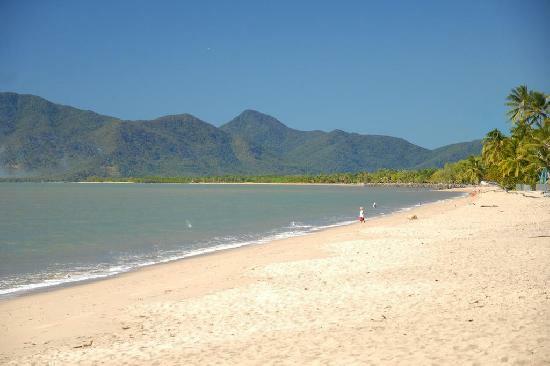 Half Moon Bay Resort (Holiday Apartments) is situated on the Northern Beaches of Cairns at Yorkeys Knob. Nearby Attractions : Great Barrier Reef, Skyrail, Tjapukai, Daintree, Cape Tribulation, Port Douglas, Atherton Tablelands, to name a few. We have a tour desk at reception and have over 250 brochures which we can find out your wants and needs first before booking. For you thrill seekers - there is whitewater rafting, bungy jumping, ballooning, parasailing, and much much more. 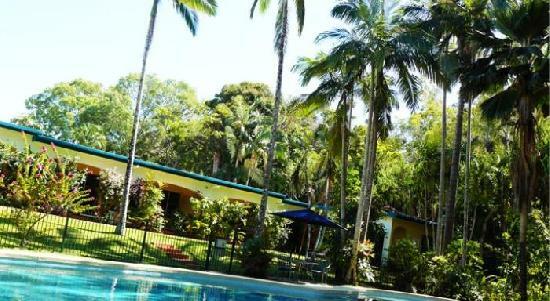 Villa Marine Holiday Apartments - The Villa Marine Holiday Apartments offers tropical studio apartments and 2 bedroom self contained serviced apartments which provide an ideal quality but cheap accommodation option in Yorkeys knob, close to Cairns. Situated just 50 metres from the beachfront, Villa Marine Holiday Apartments are a 10 minute drive from both Cairns Airport and the Skyway Rainforest Cableway. The Villa Marine Holiday Apartments provides corporate and holiday travellers with an affordable place to stay in a central location. This Cairns Beaches hotel also comes complete with a range of modern amenities such as direct internet access, faxing facilities, free car parking, guest laundry, outdoor swimming pool, tour desk, bbq, landscaped garden, baby cots and photocopying services. Nearby Attractions : This Cairns Beaches hotel is just 50 metres to the beachfront with the unique situation of being opposite a rain forest where you can view rainforest plants and animals. The Villa Marine Holiday Apartments are just 10 minutes from Cairns by car and tours including the great barrier reef, snorkeling and diving, dive courses, local islands, Daintree, tablelands, rafting and ballooning can be arranged at the property. You can walk to the local golf course, and experience the local markets around the area. If you don't have a car, the local bus service runs hourly into Cairns and surrounding areas. Australis Cairns Beach Resort - The Australis Cairns Beach Resort's apartments offer a peaceful and relaxed accommodation atmosphere for the budget conscious holiday maker. The Cairns Beach Resort has a number of guests facilities and services including Faxing Facilities, Free Car Parking, Guest Laundry, Massage, Spa, Outdoor Swimming Pool, Tour Desk, BBQ and Garden which will make you feel right at home the next time that you stay. Located at Holloways Beach – a hidden secret, Cairns Beach Resort is just a few minutes north of Cairns City and just metres from golden sand and warm tropical water. Nearby Attractions : There are restaurants on the beach and nearby, a small shopping centre for basics and a regular public bus service into Cairns.